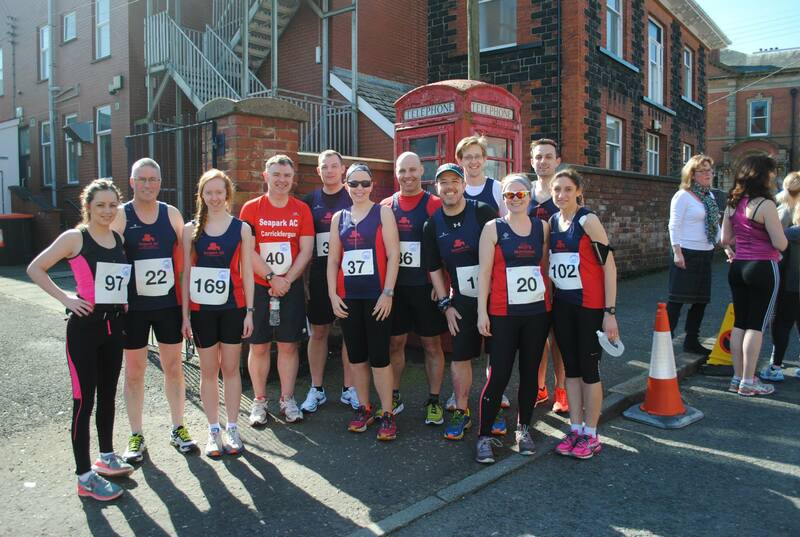 On Sunday 4 athletes from Seapark Ac were among the 38000 runners taking part in the largest ever London Marathon. Gillian Barnhill was first over the line for Seapark with an impressive time of 3:41, followed closely by Gary Connolly in 3:42. This was Richard Hetherington’s first ever marathon and he completed it in 3:55. Neill Harper (picture) crossed the line in 4:45, a new PB. 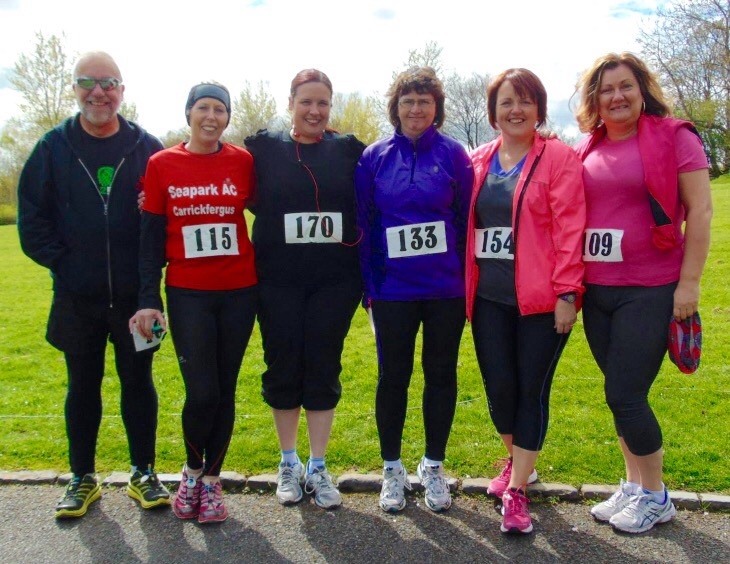 Seapark AC members Bobbie Irvine, Vivien Davidson, Carol Downey and Tony Barclay joined members of Jog Carrickfergus in Dungannon to take part in Guide Dogs NI Jog Around The Bog. This 5 mile race proved to be a fairly boggy course, but was enjoyed by all, with many of the Jog ladies completing their first ever race. Picking up their medals were Julie Kelly, Nicola Irvine, Alison Gill, Cecilia Milburn, Nicola Clawson, Louise Shanks, Lisa Gepp, Suzanne McConkey, Helena Perry and Rosemary Hutton. Murray 1:42.47, Gary Connolly 1:44.36, Mark Welsh 1:45.57, Philip Poag 2:06.11, Karen Poag 2:06.22 and Julie Ann Mitchell 2:06.22. 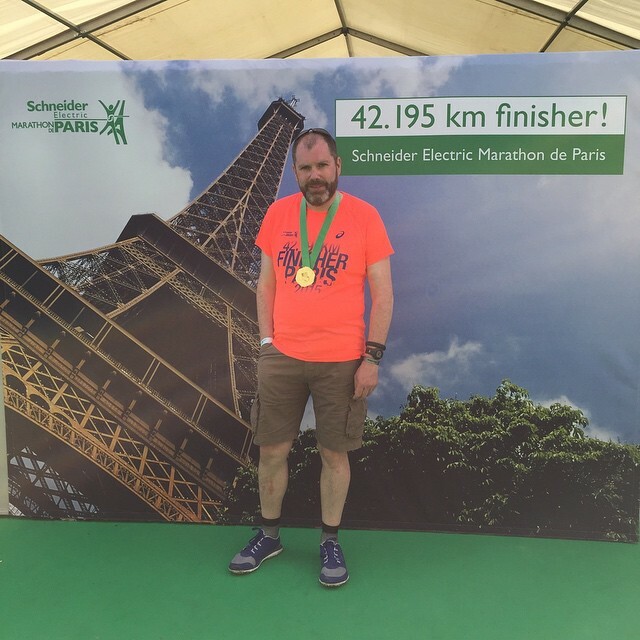 Massive congratulations to Gillian Cordner, Bobbie Irvine and Gary Connolly on completion of the 7-day ultra-marathon Marathon des Sables – the world’s toughest footrace. 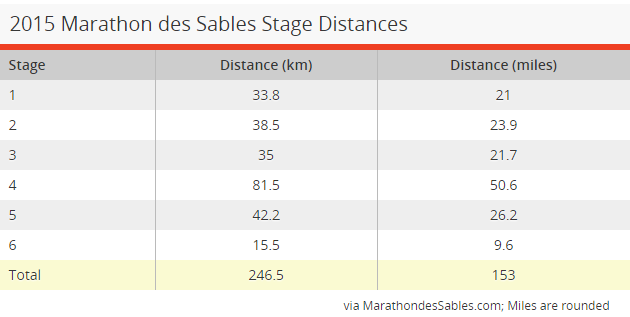 The Marathon des Sables is the toughest footrace on Earth. 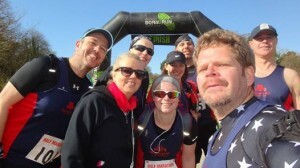 There are plenty of people in this world who’ve never run 150 miles in a lifetime. 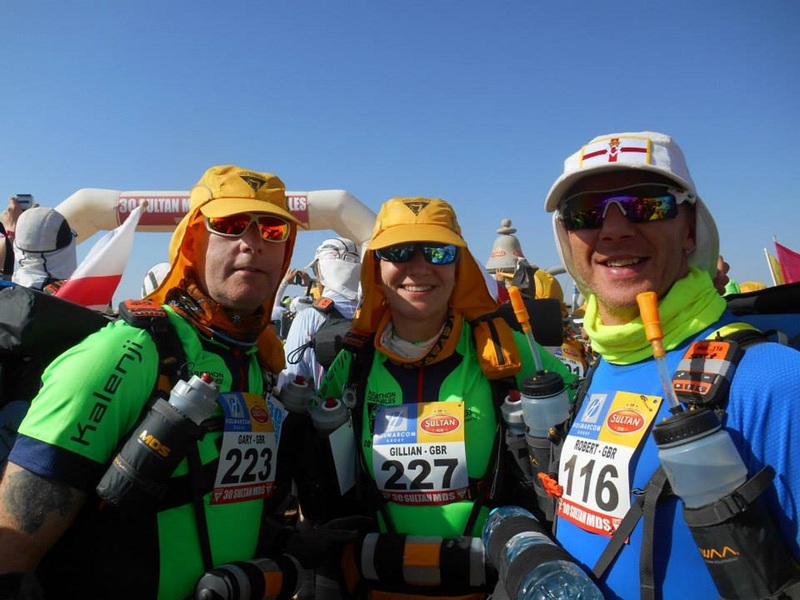 Seapark members Gillian Cordner, Bobbie Irvine and Gary Commolly were amongst the roughly 1,500 people headed to the Sahara for last week’s ultimate test of endurance. More to follow. Marathon de Paris 2015 Trevor’s official time for his 6th marathon was5:06:46 (PB stands at 4:57:12). 0-5K 32:13, 5-10K 33:10, 10-15K 33:47, 15-20K 35:10, 20-25K 36:58, 25-30K 39:18, 30-35K 38:22 & 35-40K 39:14. 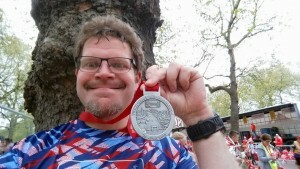 Trevor says it was like eight and a half little parkruns! 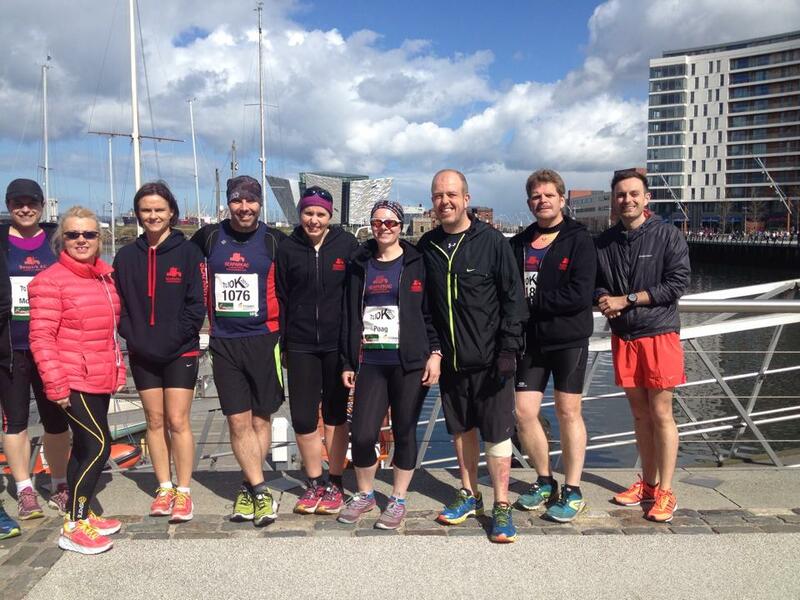 On Sunday almost 1200 runners took part in the Titanic 10k race in Belfast. 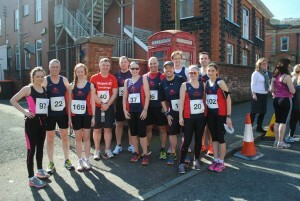 This event was well attended by athletes from Seapark, with many gaining personal best times on the course. Ian Cleland ran a particularly strong race with a superb time of 37.46. Results: Ian Cleland 37.46, Jonathan Beattie 40.11, Mark Welsh 46.25, Neill Harper 50.23, Angela McCormick 50.28, Philip Poag 50.41, Karen Poag 52.14, Andy Smyth 52.25, Alison Welsh 55.51, Ann McCracken 58.09, Karen McMaster 1.04 Geraldine Kane 1.10. 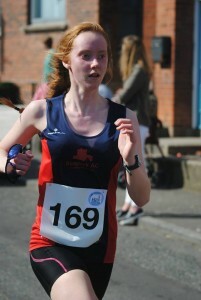 Monday 6th April 2015 (Easter Monday), Jennie Hagan, Seapark Junior, was one of the two hundred athletes taking part in the annual Whitehead 5 mile road race. A first race for Jennie, the popular long standing Easter Monday fixture has become a ‘must do’ event for many Seaparkers and the weather was perfect as the athletes took on the challenging three lap course. 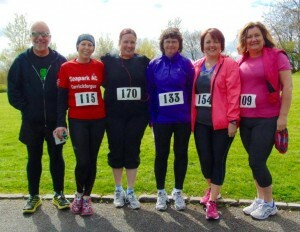 Good results were posted from all of the 14 Seapark runners with Jennie taking first place in her category. Well done Jennie! 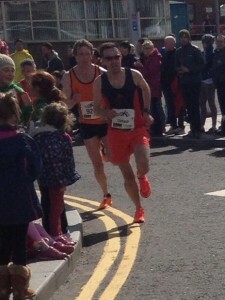 Ian Cleland taking 8th position overall and Jennie Haggan coming in first in her under 19 age group. Results: Ian Cleland 29.20, Jonathan Beattie 31.56, Mark Welsh 35.38, Lynda Shannon 36.12, Jonathan Bell 37.01, Philip Poag 39.58, Allan Grant 40.13, Karen Poag 41.26, Wesley Wallace 42.38, Jennie Haggan 42.40, Trevor Lamb 43.32, Alison Welsh 44.57. 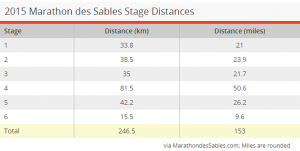 Marathon des Sables is an adventure with a capital ‘A’. Gillian Cordner, Gary Connolly and Bobbie Irvine set off today for their 250km Saharan Challenge. 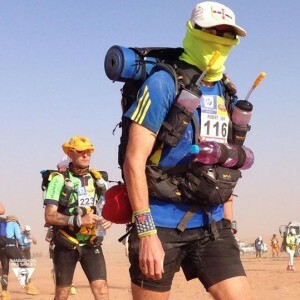 Check their progress throughout their epic journey on MDS website .